In this fast-moving world, we can’t deny the importance of good communication. The world is changing fast, and the new ones are replacing old communication channels. Now people can do almost everything through apps. But that does not mean that telephonic calls are dying. Everyone loves personal communication, but messages and other communication channels do not give us the compelling and real-time conversation. Calls can make you feel that you are special and valued by another person. Calls can make a difference regarding productive conversation. Calling can enhance the relationship between you and the other person. To make sense of your calls, it is essential you should use a calling bundle. The advantage of call packages that it is way cheaper than default rates and it also has extended talk time. For an excellent communication, you should not completely overlook the importance of good calling bundle. There are various network providers, same of are very well known, offer the opportunity to make calls over a voice bundle. Telenor is one of the widely used networks of Pakistan that always offer exceptional calling bundles for its customers. As a provider of mobile services, Telenor has made it easy for its customers to communicate. To make calling more efficient, Telenor has introduced 3-day din Bhar offer. Through this offer, you can make unlimited calls to any Telenor for three days at minimal rates. Telenor has already offered din Bhar offer for a day, but now with this package, you will have more days to enjoy unlimited free talk time. To get most out of the offer, let’s have a look at its essential information. Now you can enjoy unlimited calls to any Telenor number as much as you want at just Rs 24.50 including tax. Get in touch with your friends without paying any additional or extra charges. You can subscribe to 3-day din Bhar offer by dialing *345*626# from your Telenor connection. This offer cannot be subscribed again within three days of subscription until expiration. Wait for the verification message that you will receive regarding successful subscription. 3 Day Din Bhar offer is the fantastic addition in calling bundles by Telenor. By subscribing to this offer, you will get the opportunity to make calls to any Telenor number for 3 days. 3-day din Bhar offer is valid for all Telenor subscribers. No off-net and international calls are entertained in this offer. Telenor can withdraw or change the incentives or charges on offer any time. Call setup charges of Rs 0.12 + tax will apply. You can only make calls from 6 am to 6 pm. FED along with other taxes will apply on the regional basis. 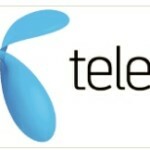 Telenor has come up with a cracking calling bundle plan just for its customers. Become a subscriber of Telenor and activate 3-day din Bhar offer now to enjoy free talk time on any Telenor number.